Snowfall warnings were renewed for most of Vancouver Island and B.C. 's South Coast Tuesday after a massive dump of snow brought cities to a standstill a day earlier. Victoria bore the brunt of the winter storm, with 23 centimetres of snow falling on B.C. 's capital as of 7 a.m. Tuesday, according to Environment Canada. 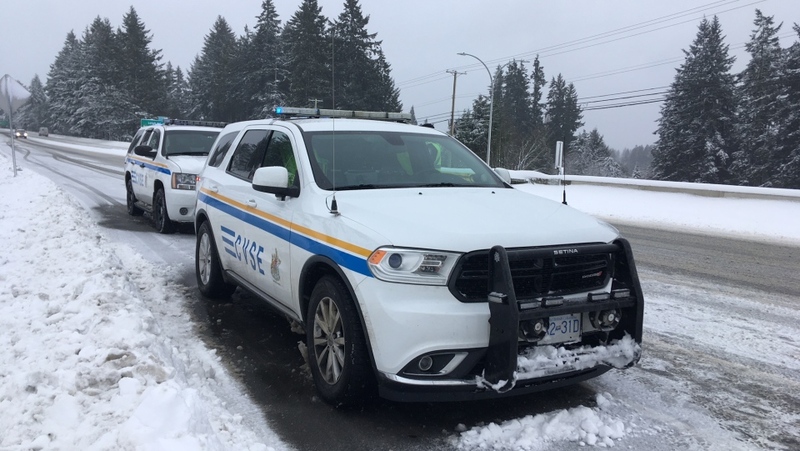 Most of Greater Victoria received more than 20 centimetres of snow, including the Malahat Highway, while Nanaimo and Port Alberni received close to 20 centimetres. Environment Canada said between 5 and 10 centimetres of additional snow was on the way Tuesday. Warnings were reissued Tuesday Greater Victoria, the Southern Gulf Islands, west, inland and east Vancouver Island. Warnings for the west and inland island were lifted as of 5 p.m.
"The snowfall will gradually taper off this afternoon into the early evening as low centre weakens," said Environment Canada. Drivers are being asked to avoid taking to the roads if they're unable to handle quickly changing or deteriorating conditions due to snow. 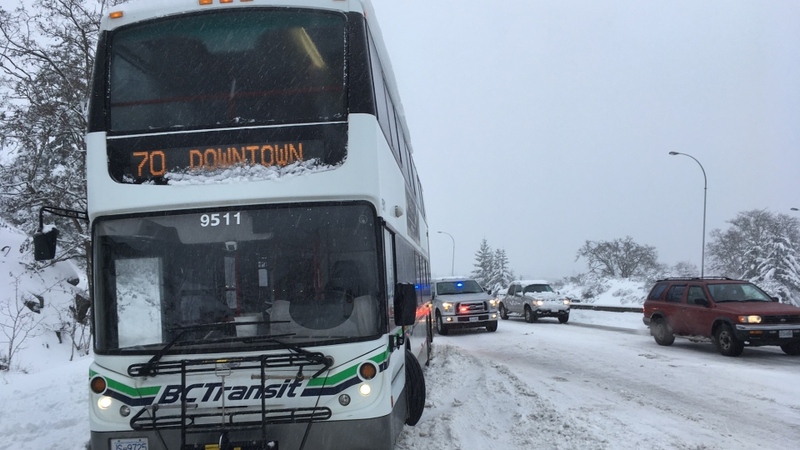 The Pat Bay Highway was already experiencing problems near the Quadra Street exit when two BC Transit buses became stuck in the snow. The snowfall shut down virtually every school district across Vancouver Island for a second day in a row. Flights were once again affected at Victoria Airport, which had power knocked out by the winter storm. There were multiple flight cancellations throughout the morning and travellers were asked to check the airport's website for the latest information. Helijet flights and Harbour Air flights were also cancelled in the morning and travellers were asked to keep checking current conditions. There were no cancellations on BC Ferries routes a day after the company decided to forego evening sailings for passenger safety. BC Transit said service would be affected, with multiple routes facing cancellations and detours. The snow also wreaked havoc on city services. The Capital Regional District informed homeowners Tuesday morning that curbside blue box recycling pickup would be cancelled due to the winter weather, and those affected are being asked to bring recycling inside until their next collection day. The Hartland Landfill is also limiting its access to commercial account customers only, and will close to the general public Tuesday.